1. Call Dispatch at 325-356-2222 to tell them where you wish to burn. By informing dispatch of your burn, the fire departments will not be required to respond to unneeded calls. 2. It is further recommended that winds be under 10 mph and humidity above 50% before you conduct a burn. 3. It is recommended that there be onsite water or equipment to control the fire. 4. By State law, the burn may be started one hour after sunrise and must be in the smoldering state on hour before sunset. 5. 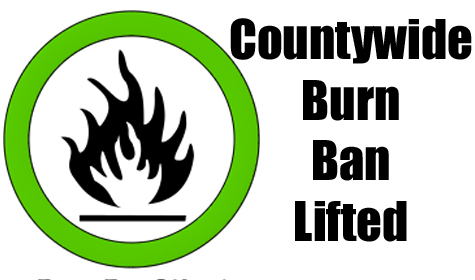 You may burn trash in a covered barrel or container without calling Dispatch.